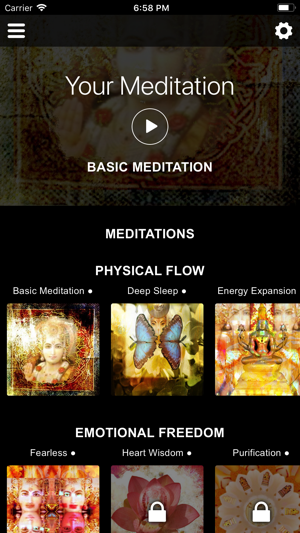 The first intercultural meditation app. 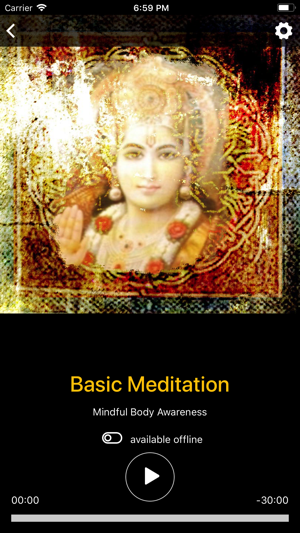 Silence Finder introduces a very easy to learn basic mediation, and specific meditations for many levels of consciousness. 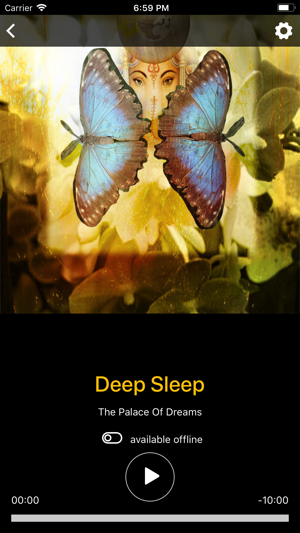 It helps you to find deep sleep and relaxation, to resolve anxieties and worries, it supports you to achieve your goals, or how to reach inner guidance and find clarity in your higher self. 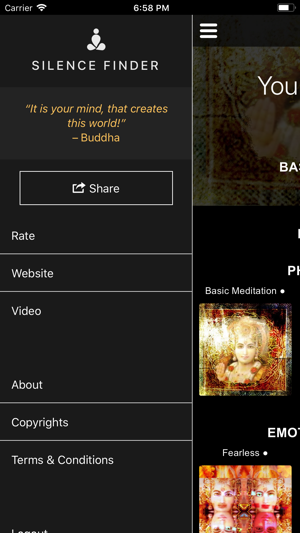 Silence Finder has been developed from 40 years of experiences with many spiritual traditions, such as Buddhism, Yoga, Zen, Taoism, Sufism and Western mystical traditions. The many feedbacks we get from users show that the app is helpful in many areas of daily life and very effective. Flow is the secret of happiness. When we feel flow we forget time. Disease occurs when the Chi doesn`t flow, then life energy is blocked. These meditations help to reactivate the flow of energy in your body, let you fall asleep easily, or support you to manifest your goals more easily, by anchoring them in your subconscious mind. Freedom from negative emotions is achieved when we can meet their energetic signature in the body with mindfulness, without having to act on one`s emotion. These meditations help you to create a healthy distance to your emotions, and at the same time to resolve the associated stress inside. It`s very useful to first clean your energy system from negative charges. The "fearless" meditation will guide you gently into the pain body, and help you to finally break free from old patterns. Heart wisdom leads you into a deeper knowing and the feeling of connectedness. 60,000 thoughts run through our heads every day. Many of them are pointless: fears, worries, burdens and a lot of b******t. Effective meditations help to manage this chaos, in the East called monkey mind. What most of us want is freedom from thought. The mental stillness meditations are very effective, because they will help you to establish the inner observer, the witness. Once a psychological distance from thoughts is established, the first hurdle is taken, we enter into the open space. In this space we can experience a new, meditative stillness. This stillness gets us into a deep silence, which is the foundation of our being: The real Self, the Atman, the Buddha nature, the Soul. Lucy is the short form for the Septum Pellucidum, the center of happiness in your brain. When Lucy is activated in meditation, a subtle feeling of joy is created, which is independent of external stimuli. The Intuition Meditation connects you to your Higher Self, a hidden operating system, which can navigate you reliably and with great serenity through the ups and downs of life. 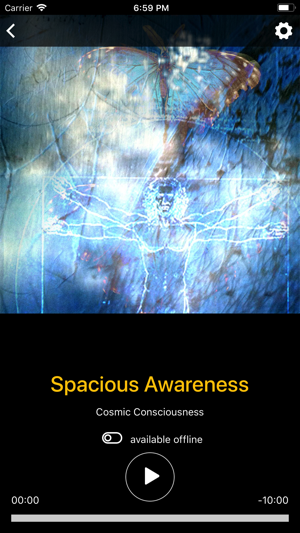 If you want to know how it feels to be spaced out, use the Oneness meditation. We all have a deep longing for oneness, because it is the true nature of the universe. This app contains subscription based packages, read the following to learn more.